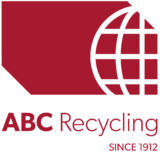 We are ABC Recycling Burnaby, serving and supporting communities through the recovery, processing and recycling of scrap metal since 1912. We can help you with your scrap metal needs, from pick-up, delivery, demolition and derailment. We accept ferrous and non-ferrous metals, including household, industrial and demolition scrap. After processing in our yard, we ship the value-added commodities to foundries and mills around the world to be turned into new products.